The Hampton Roads Jr. Whalers are proud to announce that 1998 forward Jorai Bart from Capelle ann de Ijssel, Netherlands has committed to playing college hockey in 2019 for the Lawrence Tech University Blue Devils. 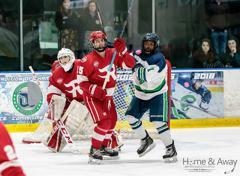 Bart, in his 1st season with the Whalers, posted 32 points in 49 games on 14 goals and 18 assists, helping the Whalers Elite team reach the USPHL national tournament in Boston. In his 2 year junior career between the Whalers and Florida Jr. Blades, Bart played in 96 career games, posting 47 total points. 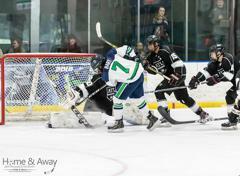 “It was an absolute joy to have Jorai as a member of the Whalers this past season”, stated head coach Brad Jones. “He could play anywhere in the line-up for us, in any situation, he would do whatever was asked of him, and do whatever it took to win. He was the hardest worker on the ice night in and night out. He made major strides in improving his game since his arrival in July, his skating came a long way, his confidence grew day by day, and he excelled in the hard areas of the ice. 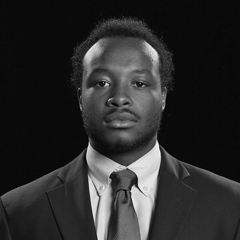 I have no doubt he will continue to flourish at LTU and be a major contributor to the program”. "First of all, I would like to thank my teammates for an amazing experience, and such great memories", stated Bart. "It was truly amazing to be part of such a hard-working group with the same mindset. 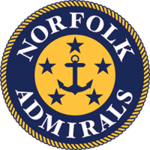 I am very appreciative that I got to end my junior hockey career in this organization. I also want to thank the coaching staff for giving me the opportunity to play for this team, while also learning so many things I can now apply to my collegiate team. During this season, I not only grew as a hockey player, but also as a person. Being part of Whaler Nation means pushing yourself till your limits and beyond, which I loved the most. 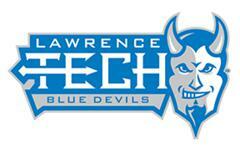 I am excited to continue my journey at Lawrence Technological University in Southfield, Michigan". Lawrence Tech is located in Southfield, MI and competes in the NAIA’s division 2 Wolverine-Hoosier Athletic Conference (WHAC). He will join Whaler Alum John Horn at Lawrence Tech. 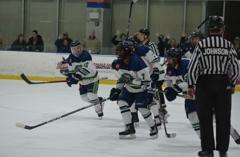 Bart becomes the Whalers 13th commit of the 2018-19 season and joins Alec Lindberg (Saint Michaels), Brendan Borg (Morrisville State), Chris Ciolek (Worcester State), Blake Bjella (Worcester State), Matthew Hanchon (Southern New Hampshire), Conner Hunt (Manhattanville), Max Loga (Lebanon Valley), Grant Parrish (University of Tampa), Cody Wilson (West Virginia), Brandon Osmundson (Utica), John Moncovich (Utica), and Jaxon Rutkowski (Utica) as committed Whalers.